The end of June is an exciting time for educators because of an event that sweeps everyone (and everything) up in its path: the ISTE Conference. 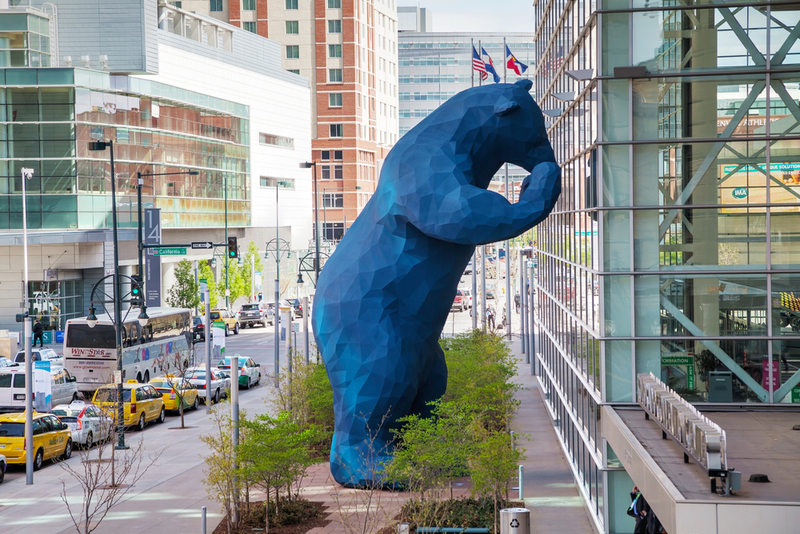 This year in Denver, Colorado, approximately 16,000 educators are expected to attend over 1,000 sessions about technology, teaching, learning, and innovation. If you’re not one of the 16,000 who gets to attend, it can be a depressing time. However, it doesn’t have to be! There are plenty of options to participate in the fun of ISTE, without the flights, costs, and crowded conference halls! One of the greatest things about social media is that you no longer have to be in a place to experience an event. Apps like Twitter and Periscope allow you to have a window into the action, right from the comfort of your own couch! There were nearly 150,000 tweets about last year’s conference, and that trend only looks to increase this year. If you’re not familiar with Periscope, it is an app that gives you a window into some else’s smartphone lens in real time. It’s pretty simple to set up an account, and you can follow Tony Vincent from the blog Learning in Hand as he covers ISTE. Just follow him on Periscope (@tonyvincent) and you will be notified when his broadcasts are going to begin. Or if you prefer Twitter, set up a column on Tweetdeck with the official conference hashtag (#ISTE2016.) This will allow you to quickly and easily curate the inspiration, tools, ideas, and other happenings shared by participants at the conference. Personally, I would set up two of these columns: one that is free flowing and one that you scroll through manually. The free flowing column allows you to see every tweet, while the other allows you to explore the content at your own pace. You are not alone. While there are thousands of people at ISTE, there are almost 1,000 people in the #NotAtISTE16 Google+ Community and many more on the #NotAtISTE16 Twitter hashtag. Joining the community is as close to going to the real thing as possible. The organizers of the community have taken care to create an engaging and welcoming experience, which will help soften the blow of not being in Colorado. They have specific challenges set up, including sharing your experiences of being “Not at ISTE,” interacting with people at ISTE, and showing off what you are doing while at home. It may not be quite as incredible as being at the actual conference, but they have done a fantastic job to ensure you get a rewarding and engaging experience. You’re bound to have some friends or colleagues who are attending ISTE. Ask them to bring you into the experience. With Facetime or Google Hangouts, your friends can video chat you right into the thick of the action. You can interact and talk to other people as if you were really there! If your friend has access to a 360 camera, ask them to take pictures and video using the camera for a truly immersive experience. A more whimsical ideal stems from the childhood classic Flat Stanley. The eponymous Stanley was flattened one night by an improperly hung cork-board and thus was able to be rolled up and carried or mailed in an envelope. Create your own Flat You to give it to someone who will be at ISTE to take pictures with! It may not be the best way to get to ISTE, but at least you can say “you” were there. Don’t let the fact that you can’t be at the big conference stop you from joining with other educators. You don’t need to travel thousands of miles to sit in a conference hall to learn about new tech tools – there are plenty of educators in your immediate area you can connect with. See if a local school or library is willing to allow you to use their buildings. Set up a time and date for everyone to come share their own ideas on how to use technology in the classroom. You can dive deeper into topics and get one to one support. Pair this with watching the hashtag. As new ideas, resources, and tools are shared, discuss with your assembled group. How could you use what is being shared in Colorado? What do you need to be successful? These conversations could turn out to be better than the official event! At the end of the conference, you have to keep in mind that the ISTE Conference is an annual event. Next year it will be hosted in San Antonio, Texas, which may be closer to your home. You have an entire year to gather resources, funding, and ideas to get yourself there. The ISTE website provides a sample letter which helps make the case for securing funding. You may even consider submitting your own session proposal! Armed with the knowledge from watching the hashtag, joining the community, and other ideas, you’ll be able to make a case why you need to move from the #NotAtISTE16 club and join the #ISTE2017 crew.